San Diego Comic Con has come and gone, and while I was unable to attend I have kept up to date with the latest and coolest announcements. I’m going to take a minute and cover some of the things that I’m most excited about. This is by no means an exhaustive list; it’s just what has piqued my interest. Obviously there are going to be plenty of comic book announcements coming from a comic book convention. Probably the most interesting announcements are coming out of IDW. Next year looks rather bright for them with a new Walt Simonson Viking series called Ragnarők, an artist edition of another Simonson title Star Slammers; An artist edition of Hellboy in Hell (which I plan to preorder as soon as I can); and a new series Little Nemo: Return to Slumberland. 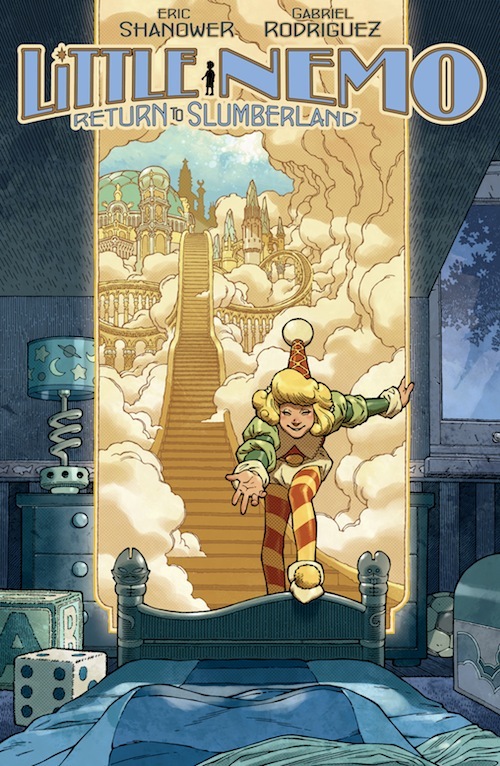 I’m certain most people are unfamiliar with Little Nemo (nothing to do with Finding Nemo), but I have been unable to find this favorite of my childhood since I was about twelve and I am super excited for a chance to return to this universe. The fact that it comes from the writers of Locke & Key, about whom I have heard nothing but good things , excites me even further. Speaking of hearing good things, this year’s Eisner awards were announced the Friday of the convention and not surprisingly, Saga has done very well for itself, winning both Best Continuing Series and Best New Series as well as a Best Writer award for Brian K. Vaughan. This shouldn’t be any surprise as it’s Vaughan’s third Eisner for Best New Series and his second for Best Writer, but I don’t care. This series is amazing and it deserves recognition. 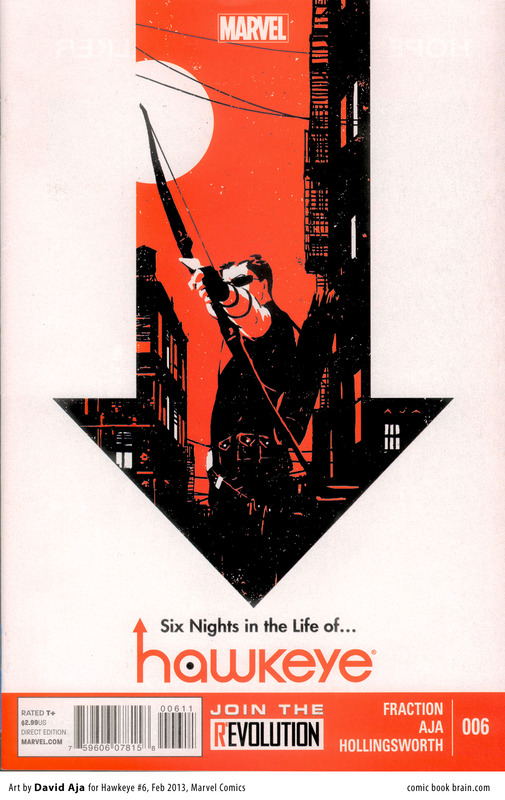 While I would have also loved to see Fiona Staples win (or be nominated for that matter), David Aja’s wins for Best Cover Artist and Best Penciler/Inker nearly make up for this. I honestly don’t care about Hawkeye as a character, but I keep reading the book because Aja’s amazing art and Fraction’s superior writing. Finally, coming out of Marvel’s catch-all Cup O’ Joe panel are two announcements that make me hopeful. First up is Young Avengers Afterparty. I’m not much of an after-party fan, but Young Avengers has been very enjoyable so far and this should be a nice Christmas time wrap up of the story arc. It also promises to include some shorter stories about a couple of the characters, including one of my favorites, Pixie. The second of Mr. Quesada’s announcements is that a new series called Revolutionary War, featuring many second and third string UK based characters is on its way. I like these kinds of series. There is always so much room to develop these characters in whatever new ways the creative teams wants to take it. I will admit that not knowing a single character that’s going to be in the series, I’m cautiously optimistic. What would SDCC be without movie announcements? It might be all about comics and who really wants that (Oh the humanity!). This year is no exception. Right off the bat we have The Avengers: Age of Ultron. After The Avengers turned into a mega-blockbuster last summer, we all knew that a sequel was on its way, but I assumed, based on the Easter Egg, that the villain would be Thanos, the Mad Titan. Turns out I was wrong. It looks like Marvel is saving that one for film number three (as well as for Guardians of the Galaxy) and instead we get one of the Avengers’ greatest foes, Ultron. 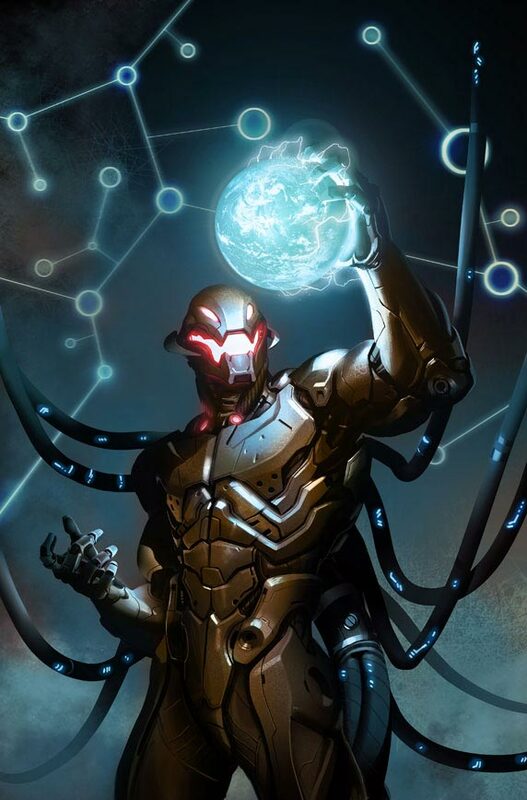 For those who don’t know, Ultron is an artificial intelligence created by original Avenger Hank Pym (Ant Man). It eventually turns on him and becomes an incredibly intelligent, ever evolving, homicidal robot who frequently tries to kill our beloved heroes. 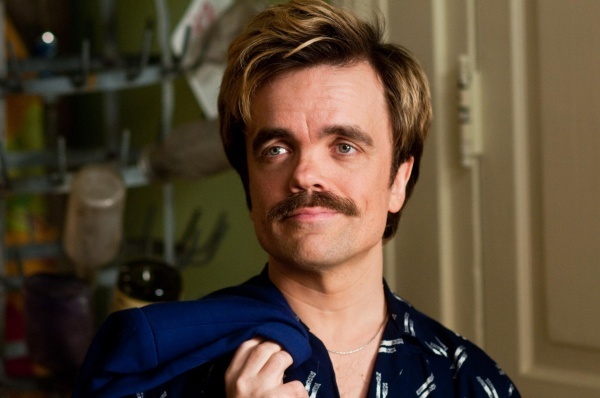 Ultimately, this is a villain I can get behind, and I’m pleased with the announcement. This is going to be fun. The mustache says so. Now from the other side of the street, over at DC there are two big pieces of movie news. First and probably most controversial is that the upcoming Man of Steel sequel will include Superman and Batman working as a team. I’m not really sure how I feel about this. Man of Steel left us with so much potential for more adventures with Superman that I’m a little disappointed they feel the need to do a crossover between the two franchises so soon. Also the fact that Christian Bale will likely not be returning for the film adds to my apprehension. For all his flaws as a person, Bale played a very really and believable Batman and it will be tough for someone else to fill his shoes. The second reveal is the post Justice League: Flash Point Paradox/ Justice League: War DC animated films. There is no doubt that while DC has not done well in the feature film market, they are dominating the animated original movie market. There were rumors that after Flash Point that there would only be New 52 based movies, but this is not going to be the case. Not only that, the next two movies will feature Batman. Batman and Son will introduce Damian Wayne to the animated comic universe and Batman: Assault on Arkham will presumably take place somewhere in the Batman: Arkham Asylum video game universe. I’ve been selective on which of the animated films I buy, but I think both of these will make the cut. Gaming at SDCC seemed to take a bit of a back seat. Given the massive announcements leading up to and during E3, it’s not surprising that things were a bit more subdued in California. Microsoft showed off some of the new features with the Kinect and Xbox One. The coolest one by far is the fact that the Kinect will recognize unique users and automatically switch user profiles based on who has the controller. I used to go absolutely nuts when my roommate and I would play games because I like inverted controls and he doesn’t. A couple months ago we set up my NES and looking back it’s amazing how far this technology has come along. The best and worst gaming news however comes from Nintendo. 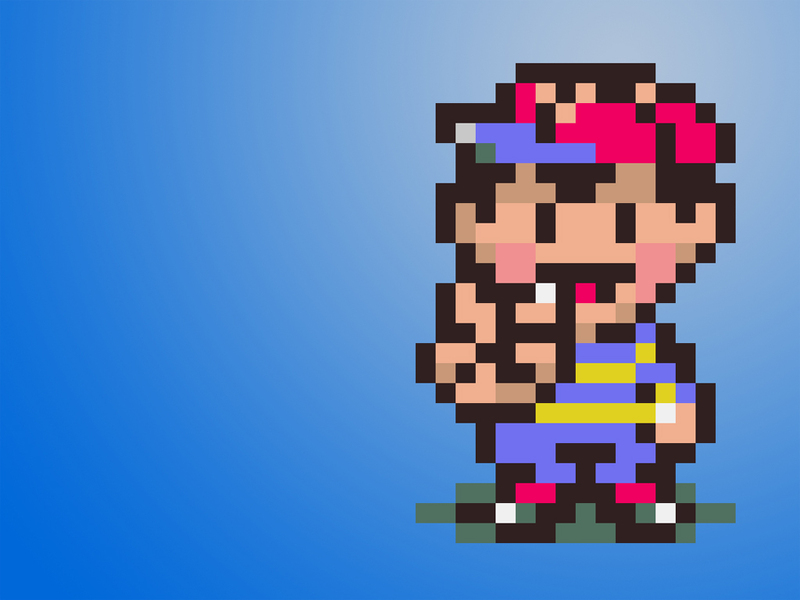 My favorite RPG of all time, Earthbound, is finally being re-released. I have played many RPGs in my day, some of the top titles among them, but none of them quite live up to the awesomeness that is Earthbound. However, it is only being released for the Wii U, a console that I do not own. I am now torn. Do I wait even longer and hope that it comes out for a system I do own, like 3DS (which can totally hack the graphics), or do I fork out the $350 for the system so I can play this game again? There are certainly pluses and minuses to both sides so this may have to come down the best method of decision making I know of: flipping a quarter. Alright folks, this is what I loved about SDCC. What did you like? Comment below and let us know what you liked and what you wanted to see more of.